UPDATE: September 9th - Take this blog post, and substitute the city of New York for Philadelphia (PHL) or Charlotte (CLT) on United. They've dropped their prices to those cities down to about $330 roundtrip after taxes, across the board, throughout 2011 and 2012. Delta just made a large unadvertised price cut on their flights to Newark (EWR). It seems to have affected flights all the way up to August of 2012. Anyone thinking of going to New York in the next year may want to have a look today. When you click through to Delta.com the price drops slightly. Amazingly, even some of the flights over Christmas and New Years are cheap. 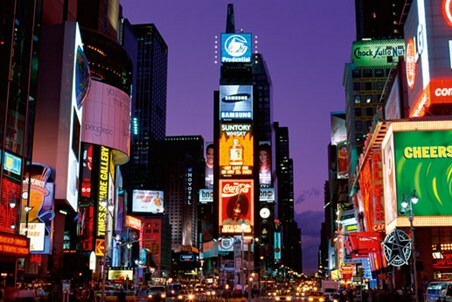 Edmonton to New York City - $283 CAD roundtrip including taxes | new record! edmonton, yeg, flight deals, delta, philadelphia, phl, united, new york city, pennsylvania, charlotte, north carolina, clt, newark and ewr. One Response to "Edmonton to New York City - $423 roundtrip after taxes - throughout schedule"
I couldn't find anything under $387..? ?